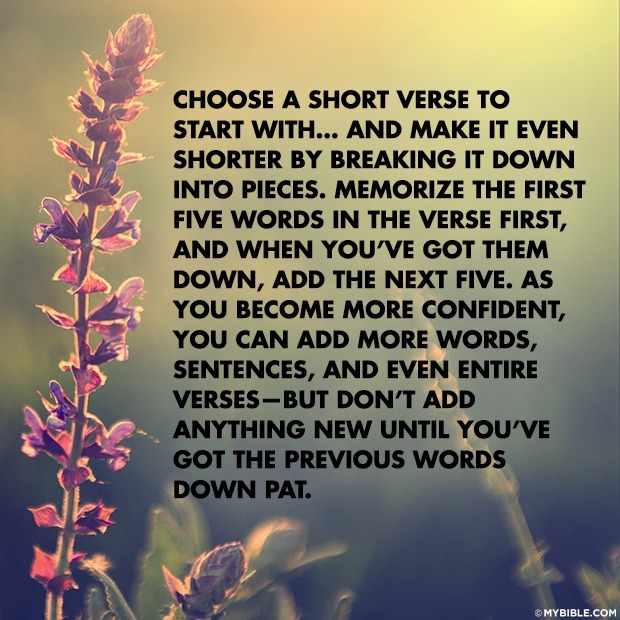 Choose a short verse to start with… and make it even shorter by breaking it down into pieces. Memorize the first five words in the verse first, and when you’ve got them down, add the next five. As you become more confident, you can add more words, sentences, and even entire verses—but don’t add anything new until you’ve got the previous words down pat.